A Brief Catechism for Adults is a little masterpiece designed for convert instructions. It was actually compiled from the notes of many Catholic priests who originally used the instructions from the first edition of the book with tens of thousands of converts. Thus, it represents the fruit of many minds. For years, it was practically the standard catechism in the U.S. and Canada for instructing people in the Catholic faith. Packed with facts and written in short, clear question-and-answer format, accompanied by brief Scripture quotes, the book is concise and to the point and shows exactly what one must believe and do in order to be saved. Using ordinary language to explain theological truths, it stresses what is required to form a correct Catholic conscience. This book gives special emphasis to marriage-since most people either save or lose their souls as married persons-showing the duties people have as spouses and parents. It includes also a list of common mortal sins, the interior design of a Catholic church, how to pray the Rosary, popular saints' names for Baptism and Confirmation, familiar Catholic prayers, and practical points on common questions that arise in an unbelieving world. 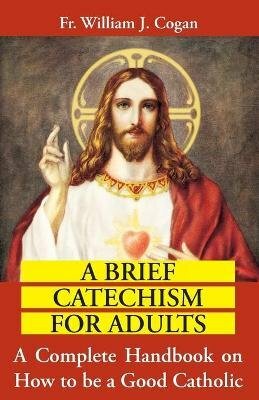 A Brief Catechism for Adults is an incredible one-volume handbook on how to be a good Catholic that is at once perfect for inquirers, but also excellent for adult cradle Catholics. All Catholics need to know what is in this little book; whereas unfortunately, likely ninety-nine percent today do not For simplicity, readability, interest and completion, there is no book of its kind that comes close to A Brief Catechism for Adults.